Ilchi Lee spoke on the issues of global peace and Brain Education to a public lecture program in Nagoya, Japan, September 15, 2007. This topic is one that the audience wanted to hear about and so it received their full attention. To customize his lecture to the unique situation of each city’s audience, Ilchi lee began with a session explaining Brain Education and then listening to the sharing of members whose lives have changed as a result of Brain Education. Ilchi Lee began by describing his meeting with United Nations Secretary-General Ban, Ki-moon, saying that the biggest problems facing the world today are global warming, war and hunger. he emphasized that the source of all these problems is in the human brain. He affirmed that brain and global management must be well performed in order to overcome these problems. Ilchi Lee went on describe in detail the Three Principles of BOS, which comprise a method of managing the brain. This resulted in an enthusiastic response from the audience for this fun explanation that combines brain science and Brain Education. As the participants experienced music and Ji-gam traning to open the heart, and the Jangsaeng Walking Method, they were able to understand with their bodies what utilizing the brain really means. These participants were invited to join in the 21-Day Miracle Creation Training. Their response was very positive. The lecture gave Ilchi Lee and the audience to celebrate the new Japanese translation of Human Technology, publishing in May 2007. Ilchi Lee was honored by the City of Las Vegas when Mayor Oscar B. Goodman declared September 6, 2007, as Ilchi Lee Day, recognizing his valuable contributions to Dahn Yoga and Brain Education. August 20, 2007 was officially designated by the City of Gaithersburg, Maryland, as Ilchi Lee Day, in a proclamation issued by Mayor Sidney Katz and presented in a ceremony at the City Hall. The purpose of the proclamation was to honor the accomplishments of Ilchi Lee in the field of Brain Education and its contribution to the general health and physical, mental and spiritual wellbeing of the people who practice it. As stated in the proclamation document, Ilchi Lee was recognized for these reasons (partial list): his Brain Education System Training is the core curriculum of the Dahn Yoga Centers, which he founded; as a leading Brain Philosopher and Educator, he continues to contribute to the health and wellness of Gaithersburg and the District of Columbia community, as evidenced by member testimonials; Dahn Yoga Center members are aligned with the Mayor’s Office to make Gaithersburg a more fit city; members report improved health with practicing Brain Education; members participated in the Montgomery County Women’s Fair, presenting a well-received lecture on Human Technology for Holistic Health; Dahn Yoga Centers provided warm-up exercises for the participants of the MS Walk; members are offering free classes at their companies, churches, hospitals and community; and Ilchi Lee has devoted his life to the study of brain awareness and its potential to improve the human condition. 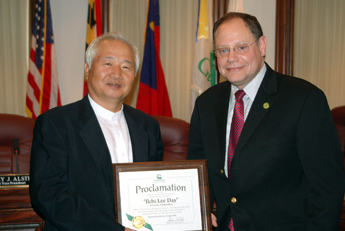 The City of Alexandria, Virginia, honored Ilchi Lee by officially proclaiming August 20, 2007 as Ilchi Lee Day. Mayor William D. Euille on behalf of the City Council signed the official proclamation. A partial list of his contributions were enumerated in the proclamation document: He developed Brain Education System Training, the core curriculum of the Dahn Yoga Centers, which he founded; as a leading Brain Philosopher and Educator, he has improved the health of citizens of Alexandria and Washington, DC, as evidenced by testimonials and 30% of members reporting health improvement results; Dahn Yoga Center members are aligned with the Mayor’s Office to make Alexandria a more fit city; more than 1,000 local members are sharing wellness techniques with their families, businesses and communities; Dahn Yoga Center’s Walking for Health in Alexandria was enthusiastically received; and CEOs have described success resulting from Brain Education and related workshops. Ilchi Lee spoke on Innovations in Education, to an audience of 400 people, at the George Washington University Cafritz Conference Center Grand Ballroom, Washington, DC, August 20, 2007. He discussed his conclusions after three decades of investigating ways to develop the potential of the human brain for the benefit of humanity. After explaining the connection between our brain’s functioning and our health, Ilchi Lee introduced the five steps of the Brain Education (BE) program: sensitizing, versatilizing, refreshing, integrating and mastering. Putting words into action, he lead the participants through two BE sensitizing exercises — Jangsaeng Walking and Ji-Gam. 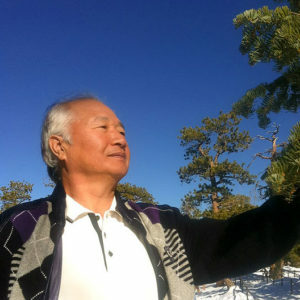 Jangsaeng (or longevity) Walking, is a walking meditation method he developed with Dr. Sung Lee of the Ilchi Center for Applied Neuroscience, Sedona, AZ. Ilchi Lee instructed the participants to tuck in their tailbone to keep the spine long and feel the soles of the feet to circulate energy to vital organs. By implementing the simple guidelines of Jangsaeng Walking, we can activate our brain, and regain and maintain our physical body’s health. Ilchi Lee introduced a way to calm one’s brain by focusing on the ki or life energy in one’s hands in a sensitizing exercise called Ji-Gam. It is a moving-meditation exercise that in Korean means to stop thinking to calm the brain. He told the participants to sit up straight in their chairs and bring their palms to face each other in front of the chest. Without touching, attendees focused on their palms and slowly began to move them apart and back together to feel the ki sensation. Ilchi Lee, developer of Brain Education and president of International Brain Education Association, announced that Mayor Phil Gordon on behalf of the City of Phoenix signed a proclamation on August 16 declaring Brain Education Week in Phoenix to be September 5-11, 2007. The starting day of the Brain Education Week coincided with Ilchi Lee’s Light of Tao workshop for Dahn Yoga Center members in the Phoenix region. As with this workshop and nearly all the programs Ilchi Lee presents, their content and methods are related to Brain Education. The Phoenix proclamation for Brain Education Week was based on these declarations: Brain Education Week celebrates the promotion of the awareness of the brain and its potential to improve the human condition; Brain Education consists of training programs to improve physical condition, ability to create and manage emotions skills of cooperation, and creative power; Brain Education can help students reach their full learning potential through body and brain exercises; and the Third International Brain HSP Olympiad and Brain Education Conference took place in New York State in August 2007, with 700 adults and children participating. Ilchi Lee, along with Oscar Arias Sanchez, President of the Republic of Costa Rica and Nobel Peace Prize Laureate, were Co-presidents of the 3rd International Brain HSP Olympiad and Brain Education Conference. The international events took place at Best 5 Resort, Ellenville, NY, August 10-12, 2007. 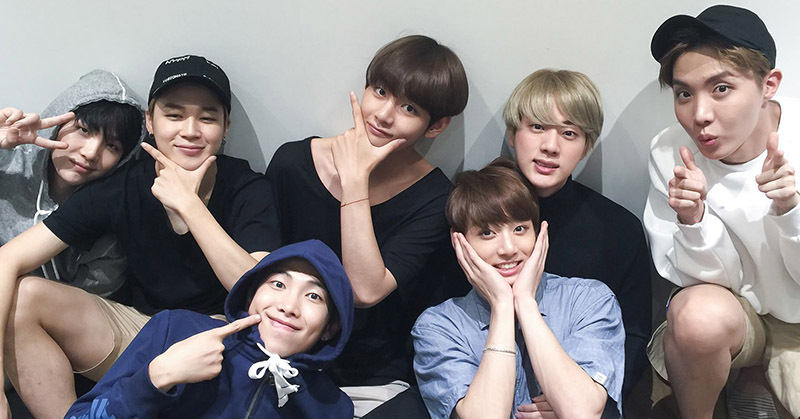 The 700 participants included renowned scientists, government officials, educators, parents and children from five countries — United States, Canada, South Korea, Japan and United Kingdom. The brain-focused, international Olympiad and Conference demonstrated and advanced the utilization of the human brain for the purposes of creativity, productivity and peace. The Olympiad and Conference main sponsors consisted of the International Brain Education Association (Sedona, AZ) and the Korea Institute of Brain Science (Seoul), both of which are headed by Ilchi Lee. Ilchi Lee spoke at the Opening Ceremony of the Olympiad and Conference, gave the keynote address at the Conference, and made remarks at the Closing Ceremony of the Olympiad and Conference. At the Opening Ceremony, Ilchi Lee declared the brain to be the final frontier of the 21st century. Human civilization has been the product of the infinite creativity of the human brain. But most people do not know how to use their brain’s full potential. We are facing a historical crisis in which most people have lost their humanity by not properly using their brain. Now more than ever, we need a new awareness of the brain. This Olympiad is held to widely communicate the value of the brain and the development of new approaches to Brain Education. According to Ilchi Lee, focusing on the brain in education is the key to achieving real progress for humanity and the Earth. The ability of the brain to be highly creative is dormant in all of us. The focus needs to shift from what is in the brain to how it can be developed and utilized. Brain Education is an opportunity for humanity to step forward into a new era, where we are concerned with the integrative thinking of Brain Management and Earth Management. Each person’s brain has the power that created our impressive civilizaton. The brain is the human body’s only component where matter contains spirit. This Olympiad is opened to awaken the awareness of the infinite creative power of the brain for the benefit of all humanity. In his Keynote Speech to the Brain Education Conference, Ilchi Lee focused on the unlimited potential of the human brain and how to use PDCA (Plan, Do, Check, Action) to make our dreams happen in reality. The huge problems facing us today include people losing their humanity and the Earth warming based in part on our civilization’s choices. The root of people enjoying health, happiness and peace lies in our global and local environment. But there are many signs that the Earth is become more ill. We must change our ways soon or the planet will not be able to recover and thus not sustain life. The environment will be saved only when all of civilization’s institutions commit to finding and implementing innovative solutions. The keys are to shift our perspective to Earth-centers and humanity-centered management and take action. In the end, the brain is responsible for all solutions and actions. Therefore, we need Brain Education. To change the course for humanity and the Earth, we must think like management. We start by setting specific goals, including how many people should be involved and by when. Ilchi Lee envisions 100 million Earth Humans by 2010. Earth Humans have a strong Earth-centered and humanity-centered philosophy and passion for action taking. They would be the core thinkers and workers in spreading a movement worldwide that would change the agenda and reality of the quality of our lives and planet. Taking action means making plans and putting them into practice. This involves a mentality of being engaged in creation, and having the power to create. With our brains, we possess unlimited creative power. Each of us needs to grow it further inside of himself or herself. An excellent way to do this is to follow the PDCA process — taking action that get results. Plan, Do and Check are the build up, but Action is the key. Do and Action are different: Do is a test that one must Check; Action is only genuine when it produces positive results. We all must utilize our brains more fully, and develop our creative power until our results change the world for the better. The 3rd International Brain HSP Olympiad had events that highlighted the infinite potential of the human brain as developed through Brain Education. (HSP stands for Health, Smile/happiness, and Peace; as well as for Heightened Sensory Perception). Competitions challenged motor skills, sensory systems and brain perception and speed. The Brain Education Conference featured lectures by distinguished educators and scientists, as well as workshops for teachers and others to help children to learn to use their brains to their fullest potential. Lecture topics included brain education as a new frontier in learning, brain-body connections, brain-considerate classrooms, and the role of proper walking for healthy brain functioning. Workshops covered concentration and memory, creativity and imagination, stress management, and emotional control. Ilchi Lee described Brain Education in Dianne Wiebe’s “It’s All in the Mind,” in the Kingston, NY-based Daily Freeman Newspaper, August 13, 2007. ELLENVILLE, NY – Hundreds of participants cheered the Friday opening of the third annual Brain Olympiad at the Fallsview Best 5 Resort and Spa in Ellenville. The weekend Olympiad, coupled with a conference on brain education, is co-sponsored by the International Brain Education Association (IBREA) and the Korea Institute of Brain Science (KIBS). Through brain education, Ilchi Lee believes that disciples can develop innate human capacities and creativity to better use the brain to influence physical, emotional and social well-being, as well as academic excellence. A day before the opening of the 3rd International Brain HSP Olympiad and Brain Education Conference, Ellenville, NY, August 10-12, 2007, Ilchi Lee announced that the New York State Senate had issued a proclamation declaring Brain Education Week in the State to be August 6-12, 2007. Leading this proclamation through the New York State Senate was Senator John J. Bonacic. Ilchi Lee extended his gratitude to Senator Bonacic for this special recognition on behalf of the Olympiad and Conference sponsors — International Brain Education Association (Sedona, AZ), and Korea Institute of Brain Science (Seoul), both of which he heads. The official proclamation congratulated the sponsors of the Olympiad Conference on the merits of Brain Education, and on holding these events in New York State, which has a proud history of innovating and adopting advances in educational philosophy and programs. In the proclamation document, Brain Education was depicted as a new educational approach firmly based on the latest scientific findings of brain research, and compatible with the imperatives of education children in schools and young adults in colleges for the challenges of a changing, globalizing and digitizing world. Understanding the human brain in terms of the development of positive human behavior is critically important to the quality of life of the individual people. Building educational programs and methods to enhance the power and potential of the human brain is the cutting edge of fostering the development of children as healthy, happy, peaceful and high-performing learners and future contributors to society’s institutions. Brain Education was recognized as a significant field of study and application. The Olympiad and Conference were considered to be timely and important events in the spreading of awareness of Brain Education and the benefits that can result from it.